The MotorStorm Pacific Rift servers for online play have been retired today, as per the notice published in June. Thank you to everyone who has played, enjoyed & supported the game since it was released in October 2008 - your passion and your feedback will be channeled into future games from Evolution Studios. We hope that you are able to enjoy the Festival and split-screen multiplayer racing offered by MotorStorm Pacific Rift for many more years to come, and that you choose to continue your online MotorStorm experience with MotorStorm Apocalypse. We'd love to hear your stories and your memories from your times playing Pacific Rift online too, so please share them with us in the comments below. A question I've had since June, there are a couple things I never got unlocked, like the Nord Viking, so are those just lost to anyone that didn't try for them sooner? I bought PR for a long distance friend in February, I was kind of hoping to play it with him more often. He's said he wishes you "had released server software to let people run their own". I suppose you'd have to for Apocalypse, I don't know how you would cut that one offline. I do like Apocalypse but I would really love to see a sequel to PR soon. The Island was easily the best setting, surely the old lavaflows must have cooled by now, they should probably head the carrier back there soon. I still think it is riduculous that now, nobody can earn platinum trophy who does not already have all the online trophies, the DLC is still in the store for £4.79 each. That is almost £10 for what? For maybe 1 day of gameplay. Waste of money, it should be free from now on & really, should have been free from the moment you announced that you were going to turn the servers off. That DLC track are very good and even without online worth the money for that players who loves play time attack. A was a trophy hunter before I fell in love with Pacific Rift. Doesn't care any trophies in relative with that game. 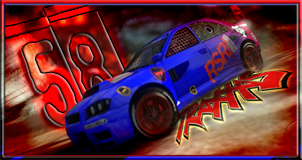 oui c'est vraiment scandaleux de ne pas savoir décrocher les trophées en ligne motor storm !!! y a t'il une possibilité pour que playstation les débloque ? I think Sony is messing up by getting rid of this game. It was the only reason why I bought the ps3. No offense but I dislike apocoplyse. I think the next game should be more like pacific rift. add in customized car and trucks. That would be a special game! Or maybe even something along the lines of more American racing. Motorsports such as the Dakar rally and Baja 100. Heck it would be really neat to do boats too!! Speed boats, jet skis, catamarans, blah blah blah. But until then I will not buy apocoplyse again. Pacific rift for life!!! You are taking the p******, aren't you? I will miss Pacific Rift. It was a really good game. I also like MSA as well. Even though it is different than PR, it is still one of the best overall racing games available today. Other racing games don't hold my attention for very long and can get boring after a while. What I don't like about MSA though, is the server issues that plague the game, the lack of support from evolution studios, the betting system and the lack of more tracks. What made PR popular was the offroad experience and the ability to push vehicle selection on the fly, rather than create a mod. But I also like the option of a modification feature. You have perks available in the game, but not in the quick race mode. The only way to practice with perks are through online racing. I wish you would of incorporated more offroad like tracks. You could of still incorporated destruction with them. You have 3 skyline tracks, the only difference is the starting point. I like the new addition of some of the vehicles, however you give three of each. OK, so we were able to download a few more. More vehicles would be better. I like the way you are able to select the vehicle you want before the game starts, rather then having to lock them in before you can play online. I like the fact the handling and overall physics of the game were improved, and that the moon gravity feature was taking out of the main gaming experience. I actually liked one of the poster ideas about incorporating boats or jet ski's. I think that would make for one hell of a game. I would hope that the next Motorstorm game will not only be for the PS4 coming out and could be backwards compatable with PS3. The PS4 will be an expensive item when it first hits the market. I don't plan on getting one right away. I'm sure others may be thinking the same as I. Also, I really hope evolution doesn't abandon the next Motorstorm game the same way it has abandon MSA. Hardly worth having exclusive titles like Motorstorm and Pacific Rift if you can't play them online. Surely would have made more sense to fix the servers rather than just close them altogether. I'm just really annoyed because I've just brought both these games today and purchased the DLC for Pacific Rift, so that's about £40 I could of spent on a new game that I can play online :( Also in the console war between Sony and Microsoft that's one point to Microsoft they never turn off online services for any of their exclusive titles. Bro's, bro's... we all know Apocalypse was a bit poopoo. Best racer this gen, by far, and I KNOW I'll be playing splitscreen for years to come. Luckily with the servers now down I can keep my unbeaten record on ATVs and Paradise Beach. And all those lovely messages by people that I squished with Monster Trucks. Good times. Yep Pacific Rift is awesome the only thing I would've liked to see is the option to install the game to HDD as the loading time is awful. I didn't see any notice posted in June. Where in the game was the notice posted? This is terrible news. I hope the servers come back online sometime in the future. There was probably a ticker notice somewhere. Is the reason not some money BUT the problems with the Motorstorm Apocalypse servers? BTW: thit sony not received engough money for the game!!!!!!!!!!!!!!!!!!!!! SHAME i'll never buy an Evolution game anymore, bring back the damm servers i can't unlock the DLC online trophies as many users, or patch the game to unlock the trophies in a different way playng offline, and i'm even forced to log out from the PSN if i want play Pacific Rift cause he try to connect after evry *****ing race i finish.. it's i nightmare i can't skip i have to wait FOR WHAT?? damm servers. Sorry but i'm too dosappointed, can't have my 100%.. why to put online trophies, and the game is still in the stores, the DLC's are so much expensive and pointless cause no 100% achievable .. not anymore, this is a shame.. re-open the servers or patch the game.